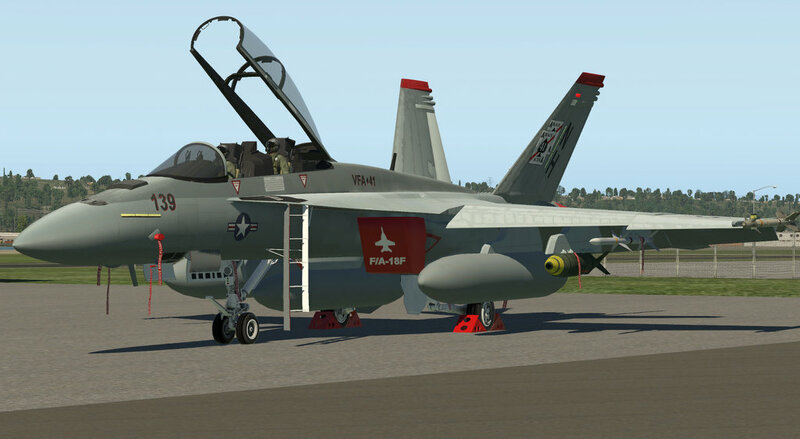 The FA-18F is more than just the 2-seat version of the FA-18E. It's two seat layout enables the crew to use the equipment, aerodynamics and power to the full potential. 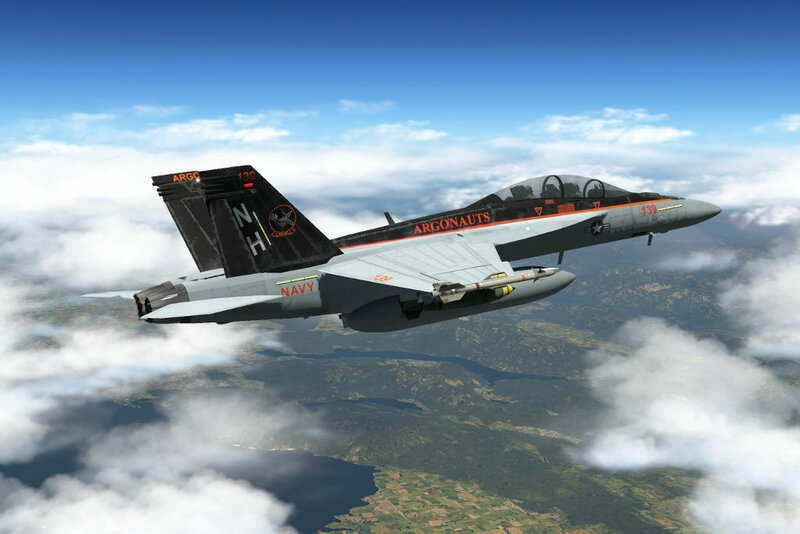 The FA-18F (together with E, C, D and G) are the backbone of today's american naval flying forces. recon. missions. 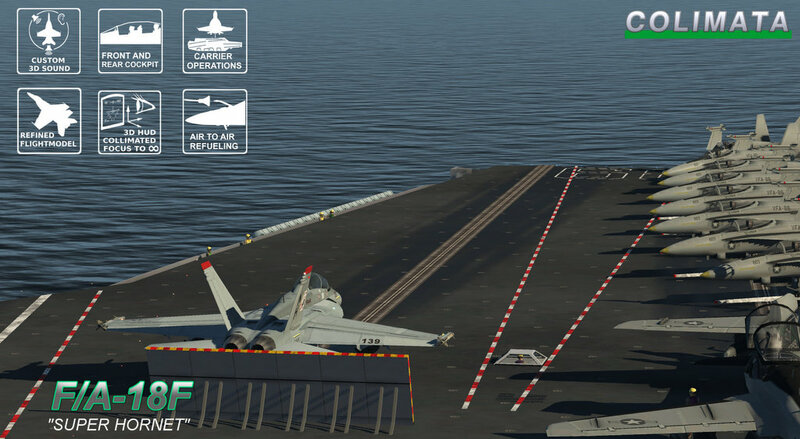 Having its home base on aircraft carriers, flying the “Super Hornet” during day and night times can be considered one of the biggest challenges an aviator can accept. 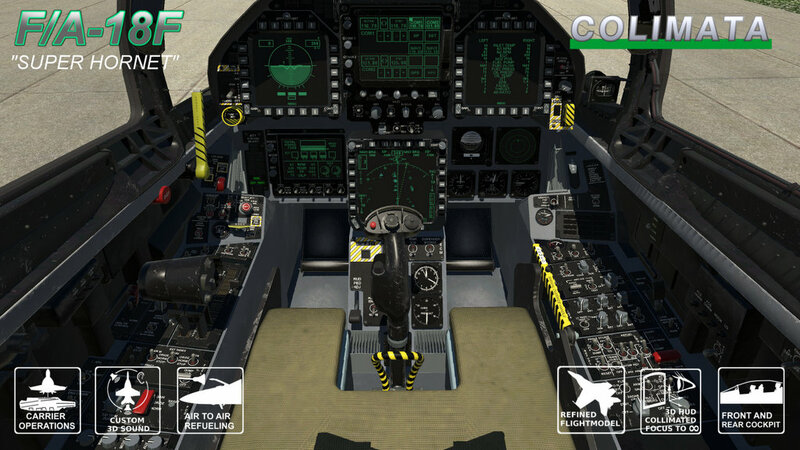 The volume of all major sounds in the cockpit can be adjusted manually. 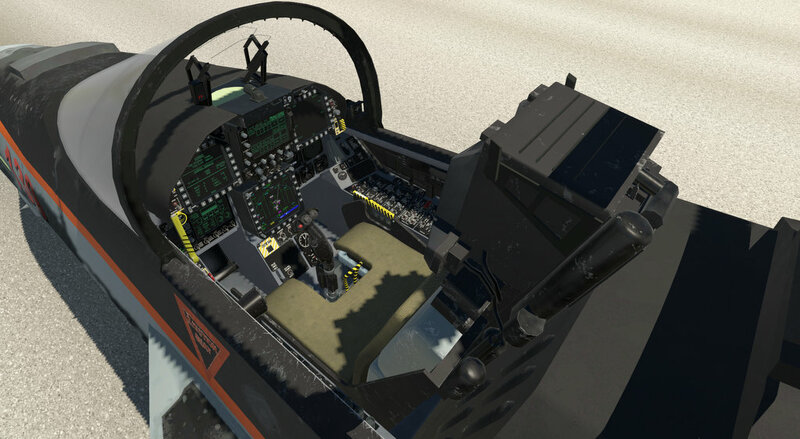 Cockpit modeled and textured according to the real aircraft. Ultra realistic, projected, collimated, focused to infinity 3D Head up display. 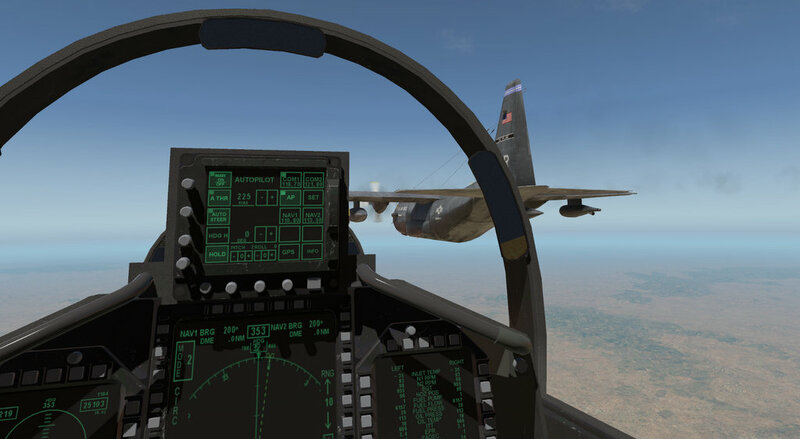 Projected: The HUD is only visible from realistic angles, and moves realistically with the pilot's head movements. Focused to infinity: The symbols stay on the same focused point, even if the pilot head moves. HUD symbology partially rejectable/hideable (pitch ladder, bank scale). Adjustable line thickness, brightness, color. 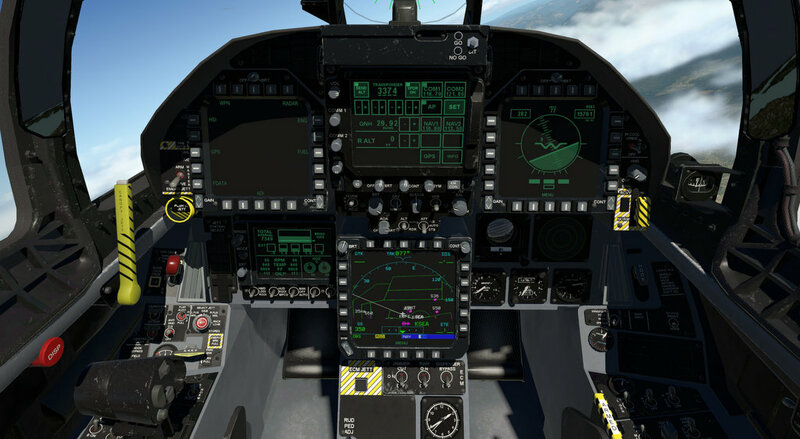 Info about gear,flaps, tailhook, ILS, AoA (plus AoA bracket) and many more directly in the HUD. 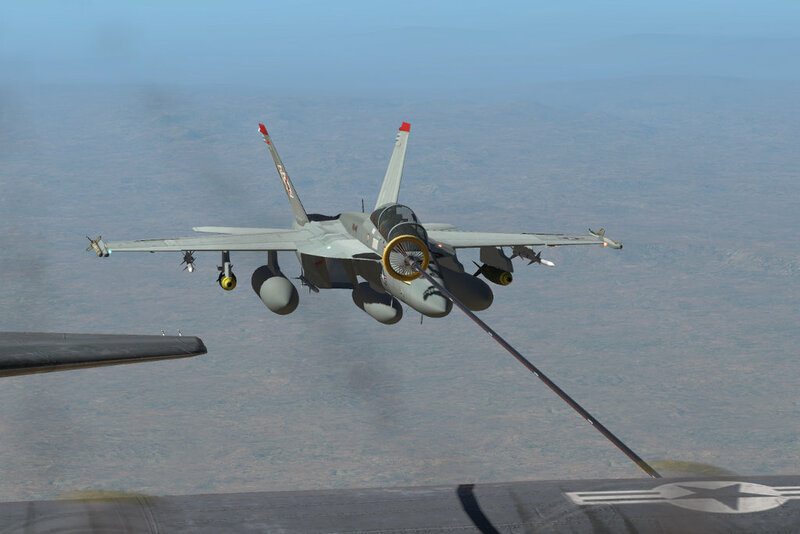 situation indicator with navaid information and navaid map, Flight data indicator, Weapons indicator, Fuel indicator, RADAR. 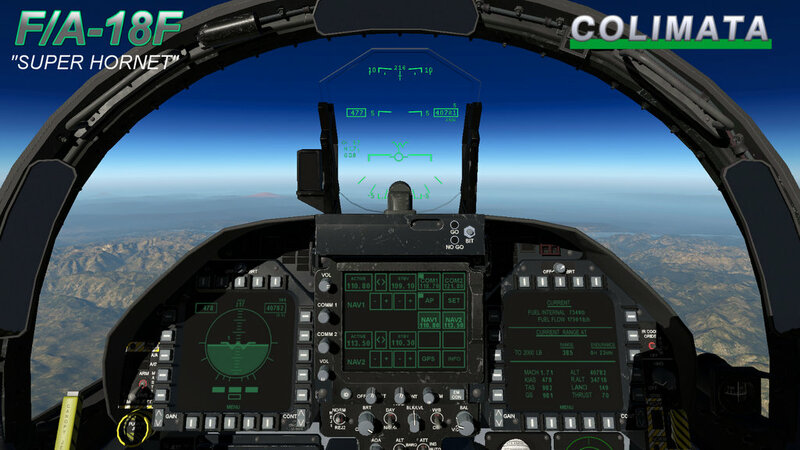 Custom upfront control display (below the HUD). Interactive menus for COM1, COM2, Autopilot, Settings (Transponder etc. ), NAV1 and NAV2. With a lot of functionality, many animated switches, includes working gauges. 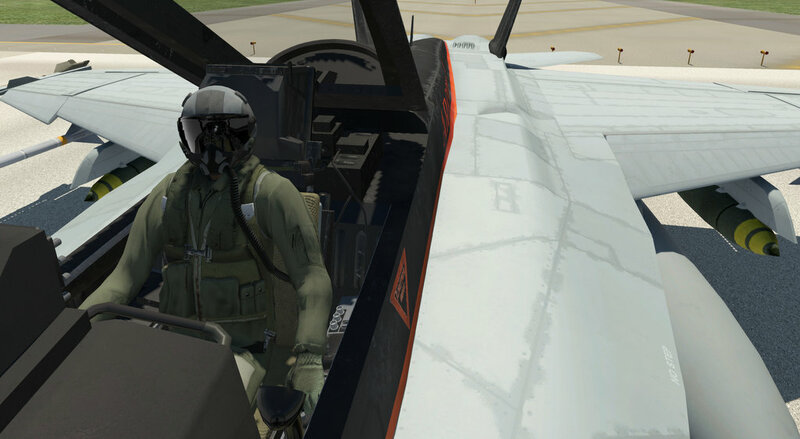 Hideable throttle and stick, working ejection handle. Night : Gorgeous night lighting with adjustable intensity. 4k textures: High quality textures in 4k. 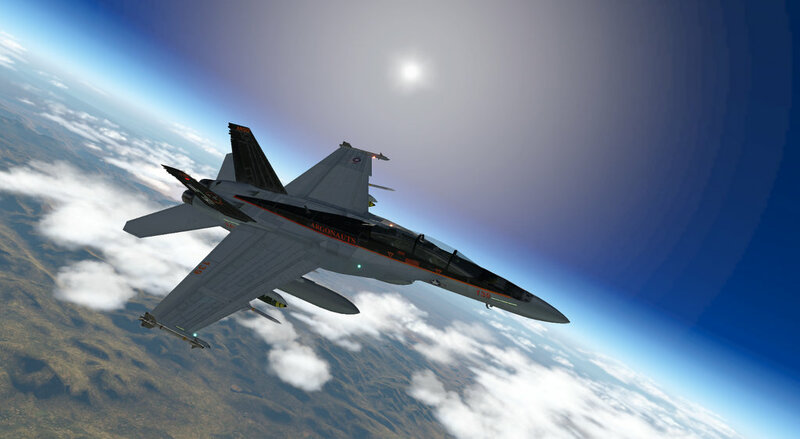 Including normal maps. 2k version available to save video RAM. 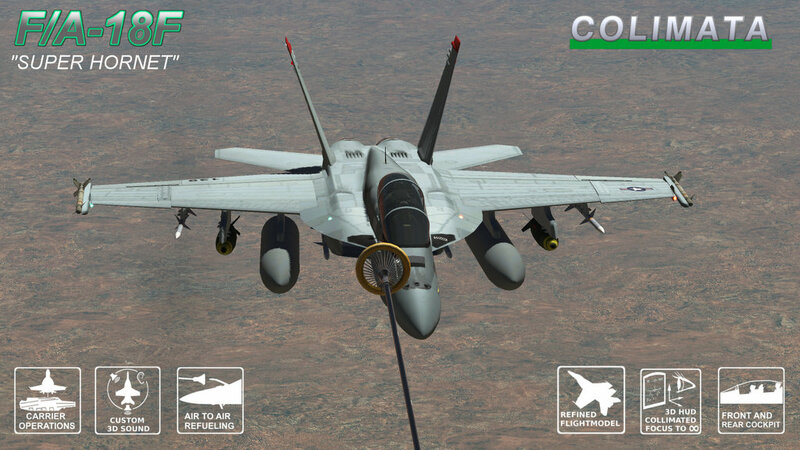 Animated Canopy, nozzles, wingfold, etc. Correct landing speeds and AoA, max. 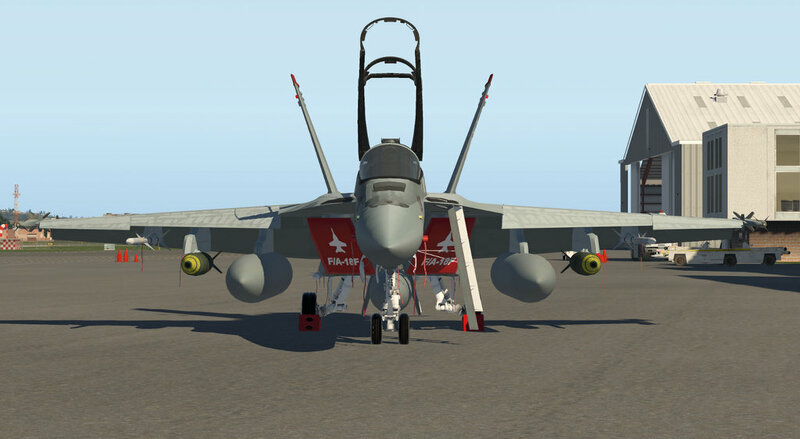 turn rate, top speed, fuselage/wing root extensions lift simulation, etc.